Donation of $50 in memory of Tami White from Wilma Dotson. Donation of $25 in memory of Tami White from Rita Gillan. Donation of $25 in memory of Tami White from Nancy Johnson. Donation of $180 in memory of Tami White from Tami's daughter Mariah Larsh who will thank the donors. Donation of $100 in memory of Annette Oedewaldt from Judy Hyslop. Donation of $25 in memory of Tina Benefield from Eva Thompson. Donation of an Amazon gift in memory of Lynn K. Christenot from Isabella Zacqek..
Donation of an Amazon gift in memory of Lynn K. Christenot from Adam Moreton. Donation of $150 in memory of Carol Griner from Ron and Wanda Morris. Donation of $10 in memory of June Barnes from Clarence and Verna Johnson, Libby, MT. Donation of $25 in memory of Al Corda from Jim and Marcia Weigert. Donation of $25 in memory of Al Corda from Ruth Ciorda. Donation of $100 in memory of Chet Stryker, Troy, MT from Barbara Stryker, Troy, MT. Barbara asks alll animal lovers to pause for a silent prayer at 11:10 on May 29 to honor Chet's memory. Donation of $25 in memory of Dan Dedman from Bill & Mike Corbett, Libby. Donation of $100 in memory of Dan Dedman from Eileen Carney, Libby. 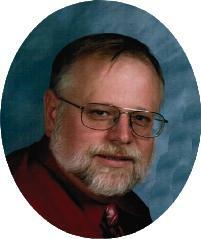 Donation of $75 in memory of Richard Olson from Marcia Jones, Shelton, WA. Donation of $30 in memory of Bill Buhl from Earl and Barb Messick. Donation of $25 in memory of Bill Buhl from General and Arlene Jones. Donation of $100 as a memorial for the one year anniversary of Chet Stryker's passing from John and Miriam Brulia. Donation of $100 in memory of Chet Stryker (husband) who passed away one year ago May 29 from Barbara Stryker. Barbara would like all to pause for a silent prayer at 11:10 in Chet's memory. Donation of $25 in memory of Jill Lenihan who passed away in Great Falls by Donna Rae Stollfuss. Donation of $100 in memory of Chet Stryker by Barbara Stryker. Donation of $100 in memory of Collin Holstein by Eros Corporation. Donation of 2 cat trees for the cat area. Donated in memory of Larry Hill and Lacie Hedahl. Donated by Bill & Jean Buhl, Dennis and Linda Day and BJ, Kelli, Tessa & Lawson Purdy. $100 Donation to our Homesteader's Ranch and Feed Supply bill from Robert Zaccheo of Troy, MT.